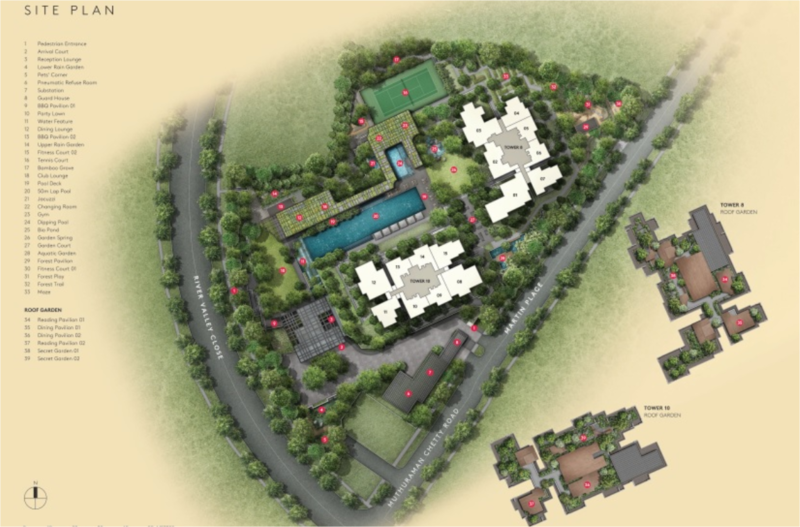 The development comprises of 450 units, all of which come with a view of the gardens, the city or the Singapore River. Each unit is designed with the occupier in mind, with well-proportioned and ideal functional spaces, and completed with very high quality finishes and fittings. Besides its expansive garden concept, Martin Modern will also have a wide array of recreational facilities and GuocoLand’s concierge services just like both Goodwood Residence and Leedon Residence respectively. Martin Modern is within a short walking distance is the future Great World MRT Station (currently under construction) which is part of the Thomson-East Coast Line. Martin Modern has an unparalleled location, being close to the most important and exciting districts in Singapore, such as Orchard Road, the Civic District, the Central Business District (CBD) and Marina Bay. Such proximity brings with it convenience, time-saving, and an assurance that your property will keep its value well. The development is within a short walking distance to the future Great World MRT Station (currently under construction), which is part of the Thomson-East Coast Line. 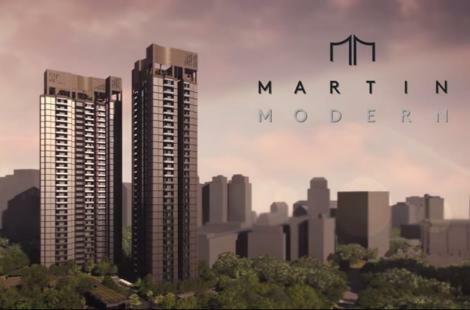 ​Martin Modern is situated at Martin Place and River Valley Road. It is just a couple of minutes away by foot to Robertson Quay. The Robertson Quay neighbourhood has shaped up to be a hip and happening lifestyle destination with the opening of four new hotels, many trendy wine bars, restaurants and cafes. There is no lack of hotspot for your daily options such as the Singapore Shopping Centre, Great World City, UE Square, Robertson Walk, Liang Court. The nearby Singapore River promenade, Fort Canning Park and Alexandra Park Connector provide avenues for cycling and jogging enthusiasts. ​Take a 15 minutes stroll to Somerset and the popular Orchard shopping belt, home to the most established and exciting brands in the world. French artfulness, Italian tailoring, Japanese craftsmanship – the best of the world is at your doorstep. Orchard Road where offer a plenty of malls that you would like to spend for weekend. It is a venue where it is popular for the local and expatriate to chill out as there are plenty of F&B outlets to choose from. 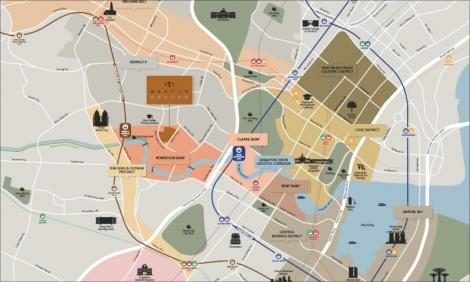 ​It is also a short driving distance to the famous Orchard Road shopping belt where a whole array of shopping malls awaits you. ​The CBD and Marina Bay are about five minutes away by car, and less than 10 minutes by train or bicycle ride, respectively. For a more novel way to get around, you can also take a river taxi from Robertson Quay to Marina Bay, winding along the scenic Singapore River.